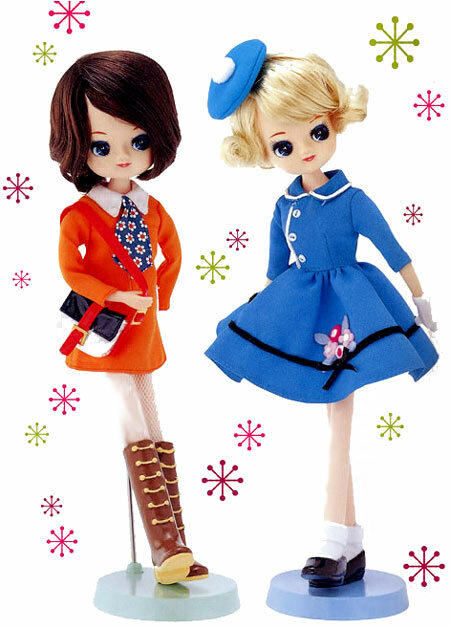 That’s right, they’re fashion dolls by Takara. Mmmmm!!! Helene’s posted the full page from Dolly Dolly 5, clicky here! They’re gonna be about $60, ouch! Especially compared with the $35 Rune girls. But they are 25cm, so a bit smaller than Jenny and a bit taller than Licca. I imagine licca sized body with the head? Oh boy. Available November from HLJ.com. And then, better pix of the Sweet Girls. Mmmmmm. And the October, November, December Calandar girls. “La Reine Rose.” Random tiny cute doll from Takara found on HLJ.com. There are a bunch of them, but only one pic. For October Release. Call me crazy but you know what those Oshare Style Fashion Girls remind me of? Your Mod Mongrel Dollfie. I canna wait. So cute. Rudi said they were supposed to be in Monday, that is when he’s shipping mine! Email him about them. 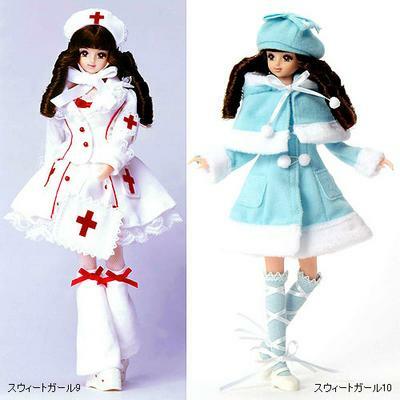 The Oshare dolls are designed by the same lady that designed Poose dolls in the 60s-70s. 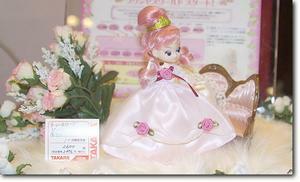 La Reine Rose Official Website with pics of all the dolls. Previous Previous post: Thank you, Andrea!